guards. Very good condition. Fits all 748/916/996/998. OEM left rearset from a 1995 900 SS. 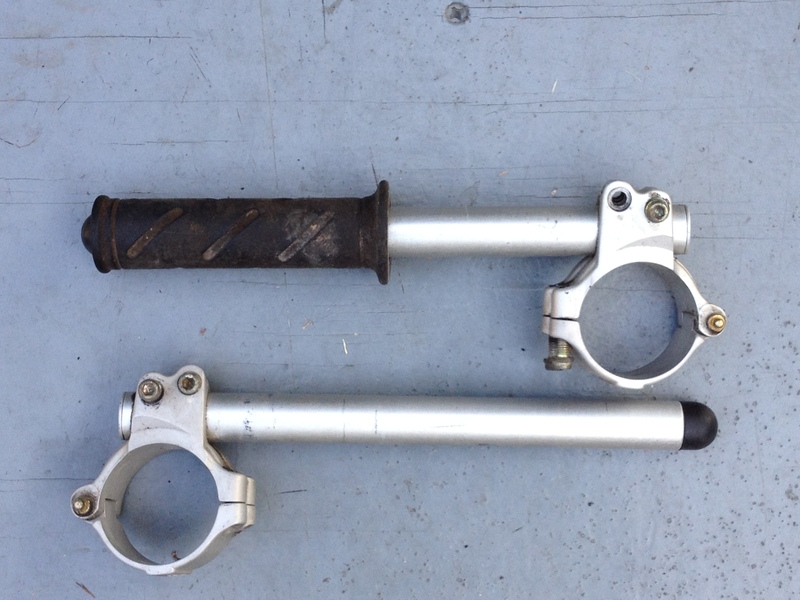 Includes shift lever and shift linkage. Excellent condition. Fits all 91-98 750/900SS. easily replaceable bars. Fits all 748/916/996/998. OEM right clip-on from a 2001 996. Very good condition. Billet aluminum rearsets, designed and manufactured by Bruce Meyers at BCM. rearsets. Replaces the stock OEM aluminum guards. rather than painted. Fits all 748/916/996/998. OEM clip-on bars from a 1999 996. Very good condition. and probably several other models.